I only eat donuts with sprinkles. No really. What’s the point of eating a donut if it isn’t covered in pretty sprinkles? Throughout my life I’ve always wondered HOW the sprinkled donut could be left in the box past the first person. My dad did some Googling and found some recipes, so I made breakfast for the Ray House. 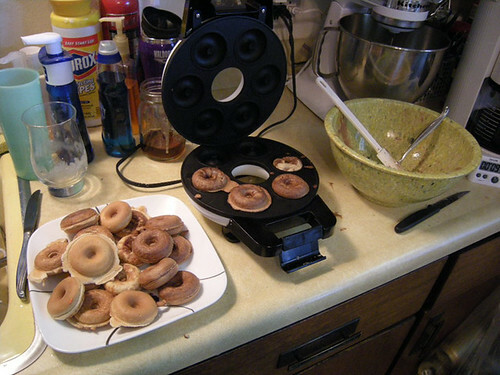 I would post the recipes, but they’re kinda pointless without the donut maker, unless you have your own, and in that case, go Google your own recipes. 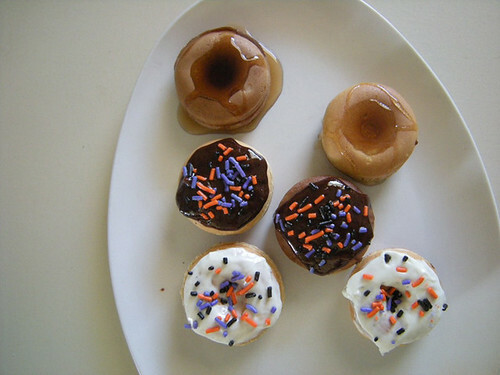 I made “traditional” donuts, but used half white and half wheat flour and Splenda. 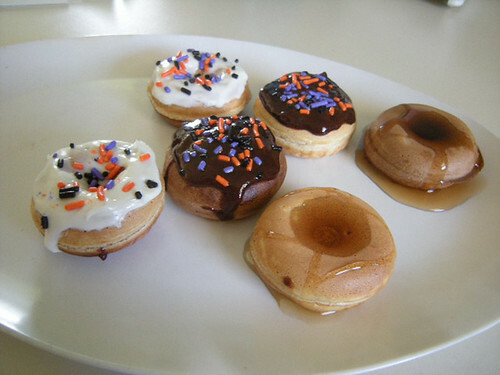 To make up for it, I covered my donuts in frosting, melted chocolate chips, low fat maple syrup and honey. 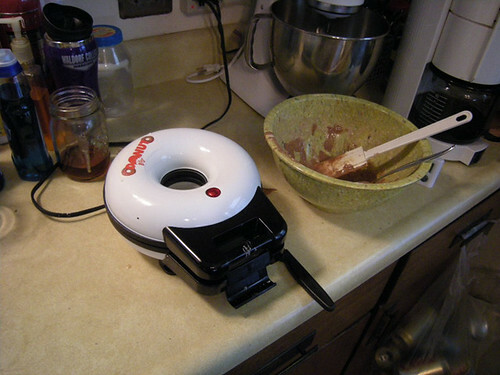 Oh, and for the last 10 or so, I added some cocoa powder to make the dough chocolatey. They disappear as fast as you make 'em. The wait was worth it wasn't it?! So photogenic. As Tyra would say, these donuts are "smiling with their eyes"